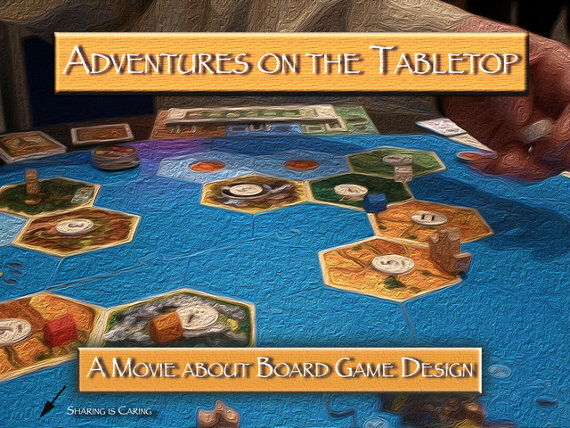 Adventures on the Tabletop is a Kickstarter project to fund Douglas Morse’s upcoming documentary covering all aspects of board game design. The world of board games has come a long way since the traditional “roll & move” games many of us played as kids. Now there are a plethora of rich (both strategically & thematically) designer board games with dedicated communities supporting them. 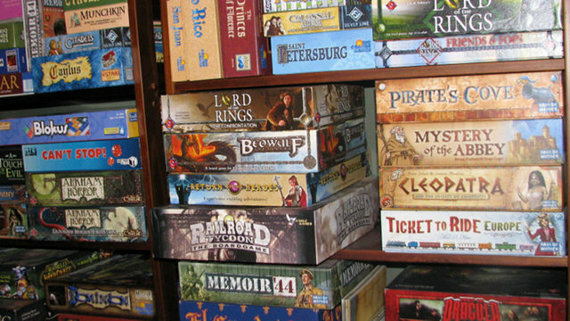 Many designer board games originate from Germany/Europe (referred to as Euro games), but there is a growing number of games being created & published in the United States. With Adventures on the Tabletop, Douglas Morse’s goal is to show what goes on behind the scenes & what these designers go through – from the prototype stage all the way to pitching the game to major publishers. Along the way the documentary will delve into game mechanics, game balance & game theory. Adventures on the Tabletop hit its $5,000 goal within a few days of launching & is still growing. I personally backed it & can’t wait to see the finished version Douglas is able to put together. It is clear from his frequent backer updates that he cares about this project, loves board games, and has the talent & passion to make this a comprehensive look at board game design. If you enjoy designer board games this documentary is definitely for YOU! Even if you’re not that into board games, seeing different game designers methods and the thought/creativity that goes into each project will surely be fascinating. You have until June 25th to support this project, but don’t wait around. There are awesome stretch goals & the more money pledged, the more board game events Douglas will be able to cover. P.S. If you’ve never played a designer board game, I highly encourage you to find a group of friends to play Settler’s of Catan with. Also, if you want to learn more about designer board games or find out what’s popular, Board Game Geek has a wealth of information. Give designer board games a try, you might just find a new hobby.